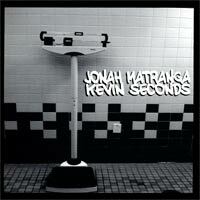 This vinyl release features four brand new previously unreleased songs from Jonah Matranga and Kevin Seconds. Aside from the recordings Kevin Seconds also designed the artwork with additional layout by Welland, Ontario based graphic designer Jillian Grenier. The limited pressing of 1000 hand-numbered copies will be available December 22nd 2009 on Canada's Blacktop Records.